Pepper Rice is a special kind of stew you can only eat in Benin. 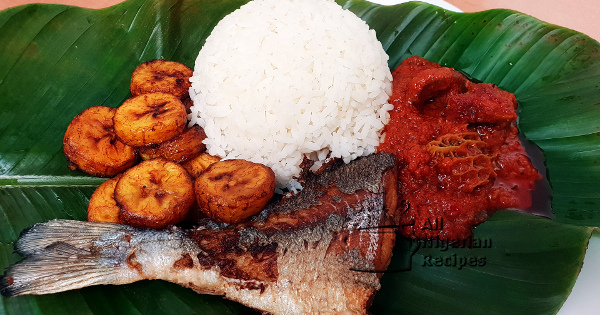 If you live in Benin or you have stopped by for food on your way to other parts of Nigeria, you know what I am talking about. If you are feeling nostalgic, now is the time to re-live this stew. It is called Pepper Rice but the taste is in the stew. 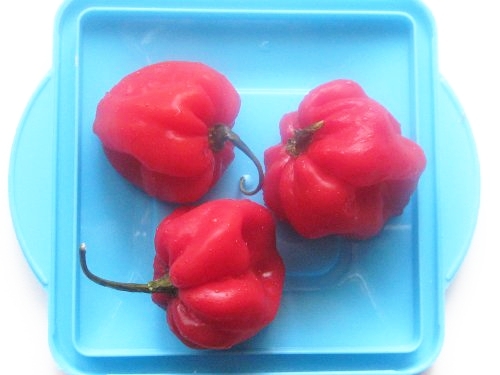 Tatashe is a hot and tapered Nigerian pepper. 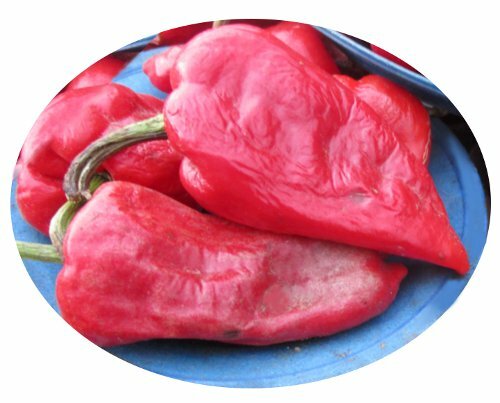 You can use sweet peppers or fresh paprika which are not spicy hot as alternative. If you do not have shaki and ponmo, use any part of beef available to you. The curry powder listed above is the Nigerian curry powder not the Indian curry powder. 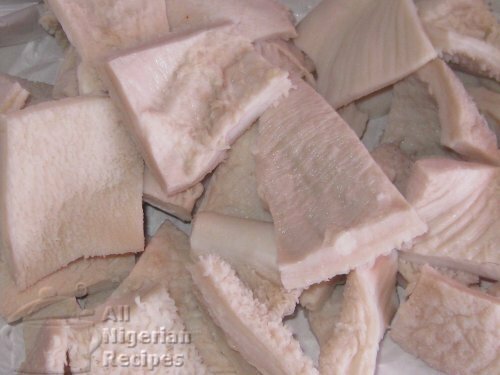 Clean and cut the shaki and ponmo into medium pieces. Rinse and remove the seeds from the tatashe and tomatoes. 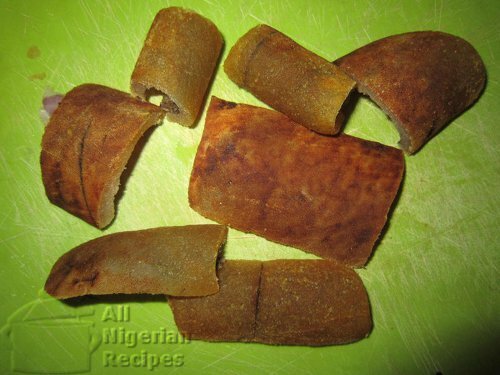 It is advisable to deseed the tatashe and tomatoes if your blender cannot blend the seeds. Tatashe peppers can make your stews bitter. And unblended pepper and tomato seeds make the stew look unsightly when served. Blend the peppers and tomatoes till smooth. I usually cut them up a bit to help my blender. Boil the shaki and ponmo with the thyme, seasoning cubes and some of the diced onion till they are soft. These meats take a while to cook so if you have a pressure pot, use it when cooking them. Pour the vegetable oil into a clean dry pot and heat it up. Once very hot, add the remaining onions and fry till it turns brown. Add the tomato and pepper blend and fry till the perfect fried tomato consistency is achieved. Click here for how to fry the best tomato stew. Add salt, curry powder and the boiled meats. Cover and continue to cook till it steams up again and the pepper rice stew is ready. Clean and cut the fish then rub salt on them. Serve with Boiled White Rice and Fried Plantains.